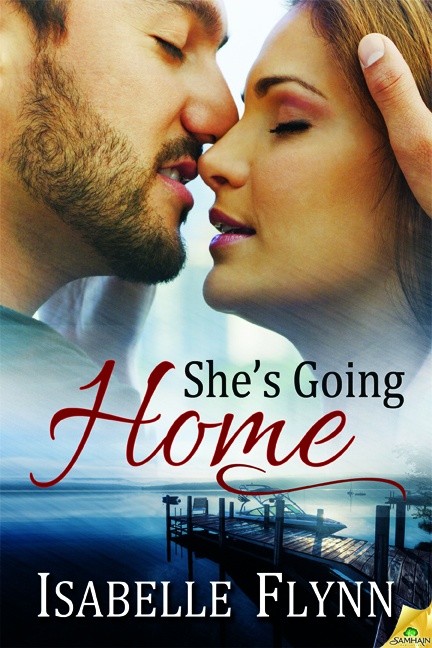 I am so, so happy to announce that She’s Going Home is now available for purchase as an ebook. Angie and Nick’s story started with a dream, like most of my books. From the start both characters came to life and their voices were always there in my head. It was impossible not to write their story. Please enjoy a short excerpt below. In jeans and a blue polo shirt, he still held himself like the police officer he was. The look in his eyes had her placing a hand on her stomach. He really hadn’t noticed on that first day in town. She had wondered for days when they would see each other again. Pretending that she would be unaffected by him hadn’t worked. He made every part of her body tingle. Before he could say anything else, she lifted the pile of hardbound books off the desk and headed towards the reference section. It only took her a few steps before she realized her mistake. At just a few inches over five feet, she was no match for the heavy books. Nick was just a step behind her when the top book started to list. With quick reflexes, he straightened the pile and had them in his arms before she could gasp. She opened her mouth to clear up the lie, but the words stuck in her mouth. She didn’t need pity. Least of all from him. Glancing back at the front desk, she spotted a young boy waiting for her. She stepped around Nick and walked back to the main foyer. The boy looked familiar with his light brown hair and serious brown eyes. She ignored Nick when he called her name and continued on to the desk. She didn’t need to hear the reply to know who he was speaking to. The pieces all fit together. Nick’s son. His father came up behind him and placed a hand on his shoulder. Angie avoided looking at Nick. She needed to know how old his son was. Her heart pounded as she tried to keep her voice calm. “Sure.” He was old enough to read and judging by the books in his hands, old enough to read the type of science fiction she read when she was twelve or thirteen. She entered in his name and then waited as the screen popped up. She couldn’t will her eyes to look away from the date of birth. It was there on the monitor. No need to even do the math. She knew without a doubt, this boy was born while she was dating his father. She finished up the transaction and handed Jack his books. She couldn’t bear to look at Nick. How could something that happened so many years ago still hurt? With tears burning the back of her eyes, she walked out from behind the desk. When Nick called her name, she kept on walking. Not stopping until she reached the ladies room, Angie felt nausea rise up into her chest. All of those years wondering why he had just dropped her and this had never occurred to her. A baby.